Don’t have a CHD account? Have you wondered whether Lean and evidence-based design (EBD) can be part of the same project? Pairing Lean and EBD during the design and construction of a project can transform the healthcare environment and patient and staff experiences. Learn how designers, owners, and builders can maximize this potential by integrating these value-based approaches in all phases of a project. This interactive workshop will provide insights to illustrate how Lean methods can be informed, complemented, and enhanced by an EBD process that uses research, data collection and analysis. Maximizing value to the customer, eliminating waste, and continuous improvement are at the core of Lean, while improving safety and quality is at the core of evidence-based design. To address today's healthcare issues, you shouldn’t do one without the other. During the workshop you will have the opportunity to engage with colleagues and a coach to simulate this integration, and you'll leave with tools and resources that can be applied to your next projects. To explore the added value of integrating an EBD process and Lean methods to transform healthcare environments. To identify opportunities to incorporate both Lean and EBD during the various stages of design, construction and occupancy to improve safety, quality and project delivery. To gain an understanding of how to build a business case, link design to outcomes, and measure and evaluate your results. To learn how firms have successfully integrated these processes to enhance the health, safety, and welfare of the users and staff. A consultant to The Center for Health Design, Donna directs the continual development and growth of the Evidence-based Design Accreditation and Certification (EDAC) program. 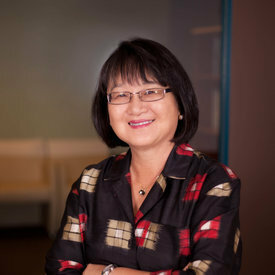 Her strategic oversight and industry experience helped propel EDAC to become widely accepted by top architectural firms throughout the country and worldwide. 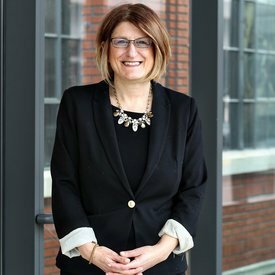 She also directs and facilitates the Built Environment Network program, a collegial network of executives and industry leaders who participate in strategic discussions to help set the direction for the future of the built environment. Terri Zborowsky is an Evidence-based Design Researcher at HGA Architects and Engineers, where she focuses on the intersection of user experience and human interaction within healthcare environments. She began her career as a registered nurse before completing a PhD in Interior Design. Zborowsky combines her first-hand experience of patient and caregiver needs with architectural concepts to develop exceptional spaces. She frequently presents her design and research studies at academic medical and healthcare conferences, and has been published in HERD and other leading industry design journals. She has a Doctor of Philosophy in Interior Design from the University of Minnesota. 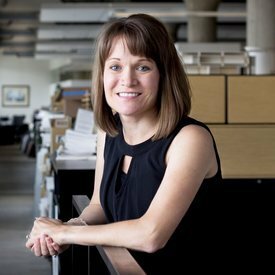 Kara Freihoefer is the Director of Research at HGA Architects and Engineers, where she focuses on utilizing evidence-based design principles to inform and educate healthcare clients and colleagues on design decisions. Freihoefer serves as the co-chair of the Research Council where she helps spearheads research initiatives across all disciplines firm-wide. Freihoefer has most recently research published “Making the Case for Practice-based Research and the Imperative Role of Design Practitioners” in Health Environments, Research and Design Journal. She was also awarded Environmental Design Research Association (EDRA) Certificate of Research Excellence (CORE) for an in-depth investigation of clinic module design. Andrea Sponsel is the Director of Lean Strategy and Change Management at BSA LifeStructures. 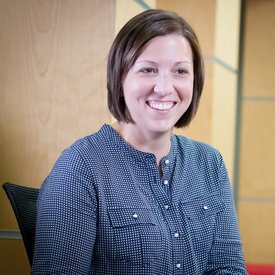 She began her lean journey nearly nine years ago, and was immediately immersed in the philosophy of improving what we do every day, and eliminating waste to create value. Since then, her passion has been teaching the technical side and people side of change to others at BSA, promoting a more inclusive and efficient delivery of design. She is also part of the Core Group for the Central Indiana CoP. 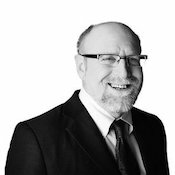 In blending technical skills and people skills, Doug brings a wealth of perspective to the design, planning, and leadership of large-scale, highly complex healthcare projects. Well known for his knowledge of healthcare regulatory requirements, he’s also an expert at customizing compliance for owners. As a technical director and principal on several of the largest healthcare projects ever built in the US, Doug built a reputation for his specific knowledge of the unique challenges presented by high rise healthcare design. He’s an elected member of the Chicago Committee on High Rise Buildings—and the only healthcare representative. 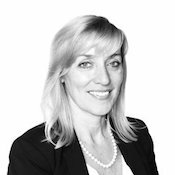 With more than 25 years of experience, Susan has enjoyed a myriad of opportunities both as a design architect and an owner’s representative that have contributed to her project management and design approach. She’s truly passionate about healthcare architecture as it provides her the opportunity to play a major role in the creation of healing environments on a daily basis. In her role as Chicago’s health sector lead, Susan coordinates and leads all project team resources while building strong working relationships with team members and stakeholders. She has a comprehensive understanding of design processes, project scoping, construction methods and administration, and organizational skills—this has ensured that all her projects are delivered within budget and of the highest standard. Evidence-based design is the process of basing decisions about the built environment using credible research to achieve the best outcomes. Lean focuses on defining value, eliminating waste and continuous improvement.